Paul Weller releases his tenth studio solo album "Wake Up The Nation" on April 19th on Island Records and 2 new tracks from the forthcoming album have been remixed. The album's title track "Wake Up The Nation" has been remixed by Zinc, and single "No Tears To Cry" has had a reworking by Leo Zero. Lean, mean and as uncompromisingly focused as it's maker, "Wake Up The Nation" also brings Paul Weller full circle: twenty-eight years on from The Jam's split, two tracks feature the former bassist Bruce Foxton. The album also sees contributions from My Bloody Valentine's Kevin Shields, The Move's Bev Bevan and legendary session drummer Clem Cattini. I’ll let you guys in on a little secret...we’re actually on vacation this week. Couldn’t tell could you? Because, well...we’re here. Wait a sec – let me bring this back around into the first person. I’m here this week – and it’s a mental break to not have had some overarching thing or concept to bloggabout. Whoo man, does my brain need a rest. See, there’s an underlying effort at work here at TVD HQ which involves all of the coordination it takes to align everyone’s ducks and get their content submitted and their Mp3s converted from whichever random file type. And of course there’s the conjuring up of the pretty graphics too. Plus there’s the scheduling a-plenty. 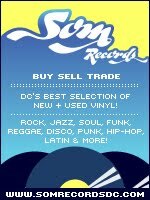 For example, did you know the blog’s booked clear til Record Store Day – 4/17? Well, right – you do now. We’re quite happily very busy. Today’s we’ve got Jonathan Richmans’ superb latest effort, “Beacause Her Beauty is Raw and Wild” out on Neil Young’s Vapor Records. This is his fifth release on Vapor and his first new album in three+ years. “Because...” features eleven new tracks, plus a new version of "Old World" and a Leonard Cohen cover, "Here It Is". This vinyl version also includes a 7" single with a bonus track. We’ve got an interesting take on how to win JR’s LP: we want your recommendations for an intern to help us with our various and sundry coordination efforts that go on behind the scenes each day. For college credit or just the experience alone, send us your hungry music-addled, post-adolescents to put to work. And if you don’t have a suggestion for an intern, how about a recommendation for a vacation spot? Because after 4/17 we're gonna need a bender. And a nap. You have til Monday, 3/15 to submit your entry in the comments to this post to win JR's LP. Send us your intern recommendations—with contact info!—and no. We're on the record as saying, "To be clear, we think DC's Casper Bangs is f'n great" and not one bit of our enthusiasm has waned, thank you. But don't take our word for it - find out for yourself. We've got a pair of tickets to the see the band this Saturday night (3/13) with Midnight Kids at The Black Cat—and the recent "Whitespace" 7" for one of you guys to claim in the comments to this post. 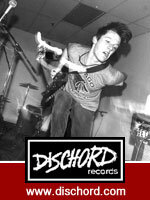 From Dischord where you can purchase the 7": Latest release from former Hard Tomorrows member. This 7" is a preview of Casper Bangs’ full-length record, I Woke Up. It was written and performed by Rob Pierangeli at his desktop computer in the midst of relational bliss - it's a document of a good thing that ultimately goes bad. The songs contain strong unaffected vocals balanced with harmony, layers of noisy guitars, and reverb. This great looking 7" is on white vinyl, has a single level embossed cover and is a split release between Planaria and North Sea Records. Limited Edition: 500 copies, hand numbered. Comes with a free 5 song download of the 'Casper Bangs' EP. There you have it - a pair of tickets for Saturday night's show and the 7" as a way of arm-twisting you into becoming a Casper Bangs convert. You're welcome. Plead your case for both in the comments to this post—with contact info!—and the one that's suitably convincing will take home the tickets and the vinyl. You have til noon on Friday (3/12) to get as us!